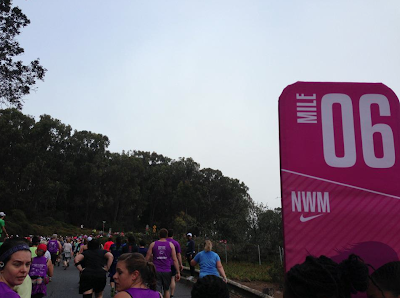 Nike Women's Half Marathon 2012 ~ Learn, Live, and Explore! The Nike Women's Marathon (and Half Marathon) is an annual event held in San Francisco to benefit the Leukemia and Lymphoma Society. This is a very popular race, and I've been trying to gain entry for the past few years through their registration lottery system. 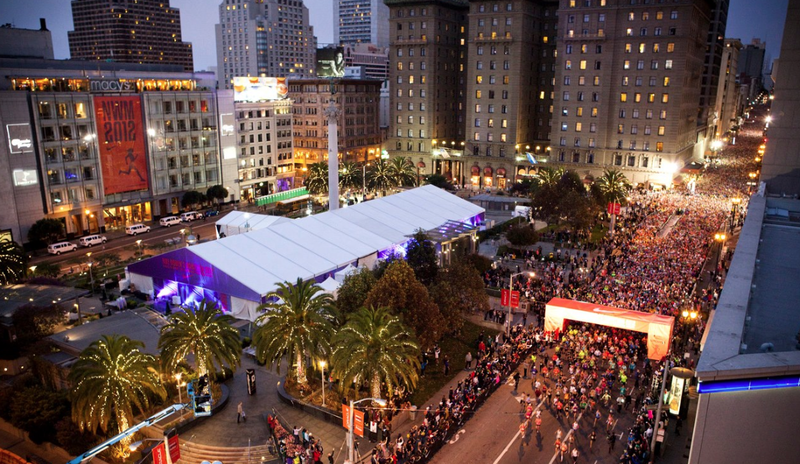 Typically the lottery registration period occurs around March for the October San Francisco race. 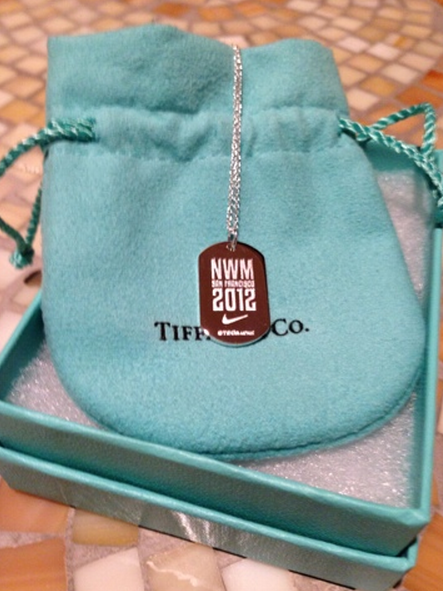 I got notice of my entry into the half marathon around late April this year, and I was really excited! 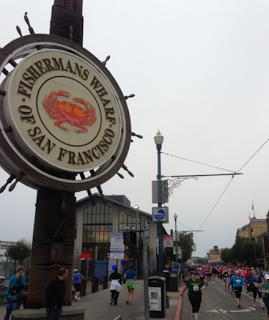 The course is a fun run that goes by some of the major attractions in San Francisco. Nike goes all out in making this a really special race, catering to women in the race expo with Paul Mitchell hair styling and Neutrogena makeovers. 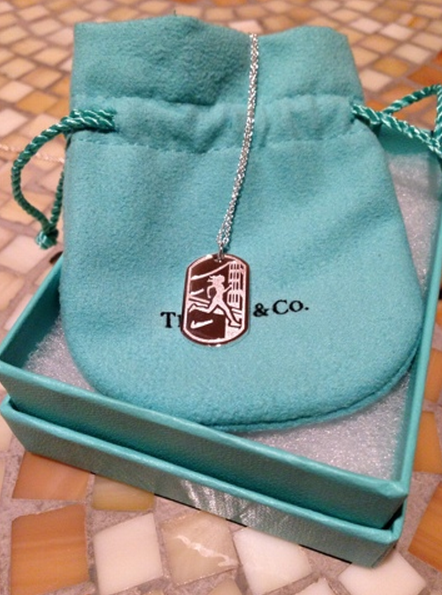 This year, they also designed a specific Lunarglide shoe that celebrates the Tiffany & Co. sponsorship of the finisher necklace (that's right!) - light blue and white with satin ribbon laces. As you can see from the course map and elevation map below it, the route is not without its challenges. The start is at 7am, so that's a challenge for me, just waking up early! 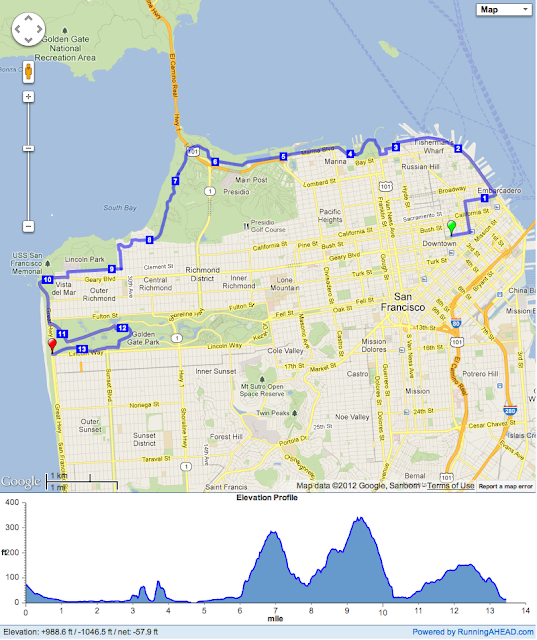 Fortunately, the first 5 1/2 miles are pretty speedy and flat, except for a small hill near Ghiradelli Square. Along those 5 or so miles, you pass by some top tourist spots, like Pier 39 (with its sea lions barking), Boudin Bakery and the most delicious scent of sourdough bread baking (torture! ), and Fisherman's Wharf. 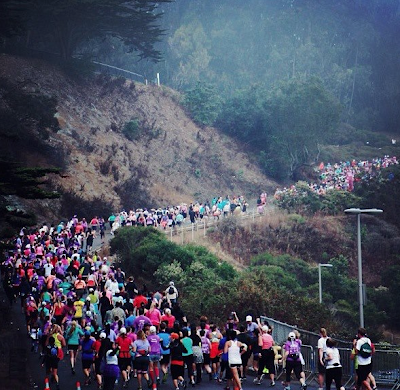 Fortunately, mile 10 is a big downhill relief that kind of massages your legs on the way down. The final section of the race is in Golden Gate Park, where you pass a field of buffalo by mile 12 - buffalo in San Francisco?? 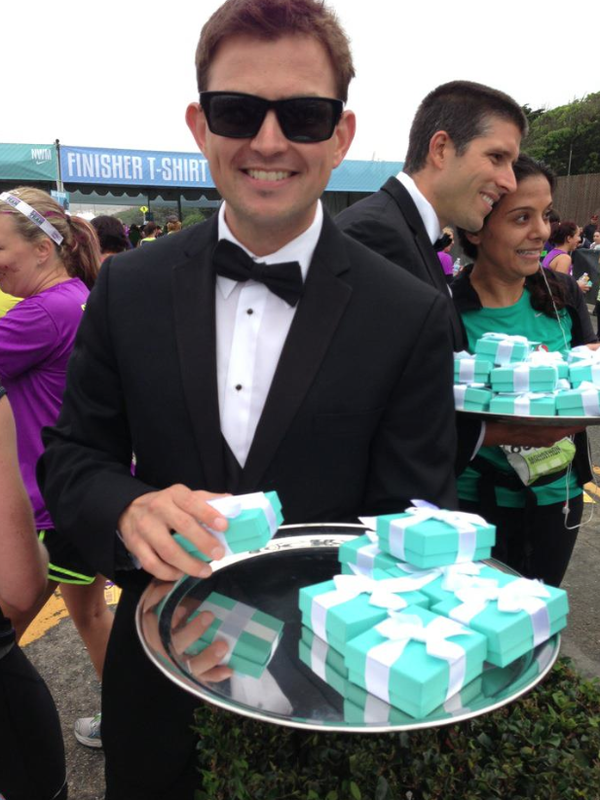 One final downhill segment, and you're in the chute on your way to a warm greeting by one of San Francisco's cute firefighters dressed up in tuxedos with a silver platter of finishers necklaces in their Tiffany & Co. boxes. You better believe I took a few extra seconds to decide on which line I would join. Look at the dimples on that cutie! It wasn't my best half marathon time, but I finished, and that is what truly matters. Plus, I got to share an amazing experience with a good friend who cheered me on while bandit running with me the whole way. 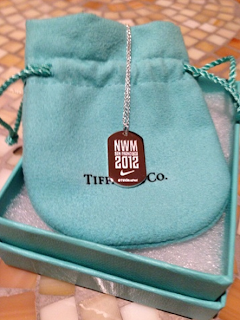 The inaugural Nike Women's Half Marathon in Washington D.C. will be held in April 2013, and I'm definitely going to enter the lottery for that later this month!